OnePlus has a well-documented release strategy for its devices: launch a few colors, and then release flashier designs throughout the device’s six-month lifespan. Last year’s OnePlus 5T is a tough act to follow, not just because of its specs, but because it introduced the blindingly bright Lava Red and the nostalgia-inducing Sandstone White. Just a month after the release of the OnePlus 6, the company is finally ready to release their first limited edition color variant with the OnePlus 6 Silk White. While the OnePlus 5 and 5T sported a few interesting color options, including the return of Soft Gold, they were ultimately rather boring in their overall design. With the OnePlus 6, the company is already pushing design forward by adopting all the latest trends (for better or worse,) including minimal bezels, a display notch and glass back, and improving upon their constructions and build materials. It’s no secret that design was a big part of this latest release, its keynote, and marketing strategy, something made all the more apparent with the new “Designed by OnePlus” inscription on the back of every OnePlus 6. 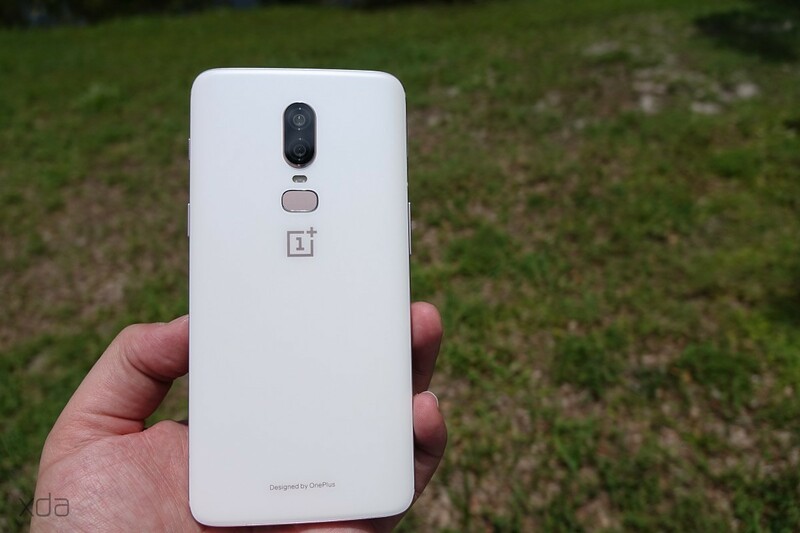 This means that we should probably expect even bolder color variants to roll out for the OnePlus 6 and/or its inevitable OnePlus 6T sequel coming later this year. So how does the first of such releases stack up in a world with flashy devices such as the Twilight Blue Huawei P20 Pro or the company’s own Mirror Black variant? Let’s go hands on. You already know the powerful specs, but you can expand the table above if you want a detailed overview. 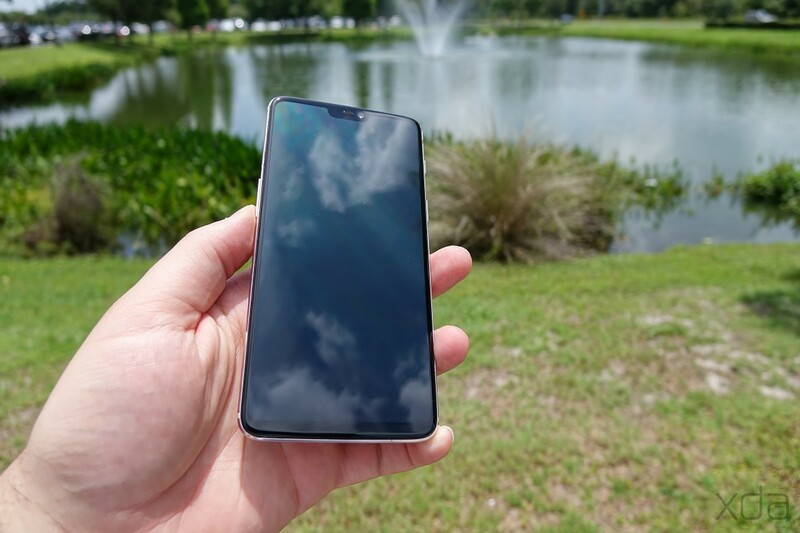 Quick refresher: you get a Qualcomm Snapdragon 845 processor that squeezes out excellent performance (review), a 6.28-inch 19:9 Optic AMOLED display that’s crisp and color accurate (review), a 3,300mAh battery, 8GB of RAM and 128GB of storage (only configuration for this variant). What reviews haven’t been able to tell you about yet is how visually stunning this new color is, from its oh-so-slight rose gold frame to its matte glass back. And speaking of the back, let’s not waste another sentence not talking about it. 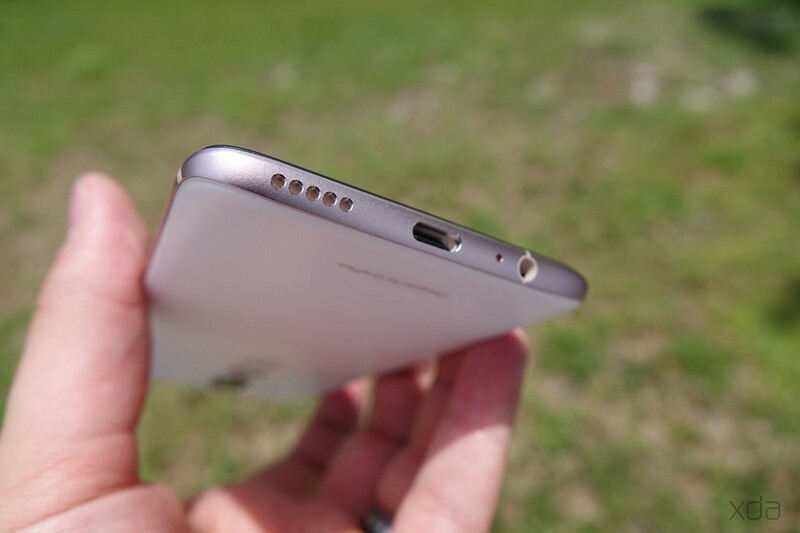 This is the real star of the show, a pearlescent white matte glass cover that OnePlus calls Silk White. It’s not “truly” white, like the matte back of a Google Pixel 2 XL for instance, and instead it’s this pearly white that’s reminiscent of the pearl white color featured in high-end luxury cars. Under most lighting, the back is an off-white that neatly reflects greens and blues deep in its color, but mostly under intense light sources. When under shadows, it’s more of a bone color with yellow undertones (refer to the images above and below). It really is a color that you have to see in person to truly appreciate, given it has many sparkly subtleties that digital media can’t quite convey in full detail. But almost as interesting as the color is the actual texture of the back. It’s very soft, weirdly so—if you have ever held the frosted lighting on bathroom vanities, it’s something like that. OnePlus also keeps all the FCC information off the phone, as the back has only two labels: the familiar OnePlus logo, and a “Designed by OnePlus” inscription, both residing below the glass. Surrounding the back of the glass is the rose gold frame which offers you a small silver chamfer around the display edge as well, adding a subtle glint that also makes the display pop regardless of whether it’s on or off. 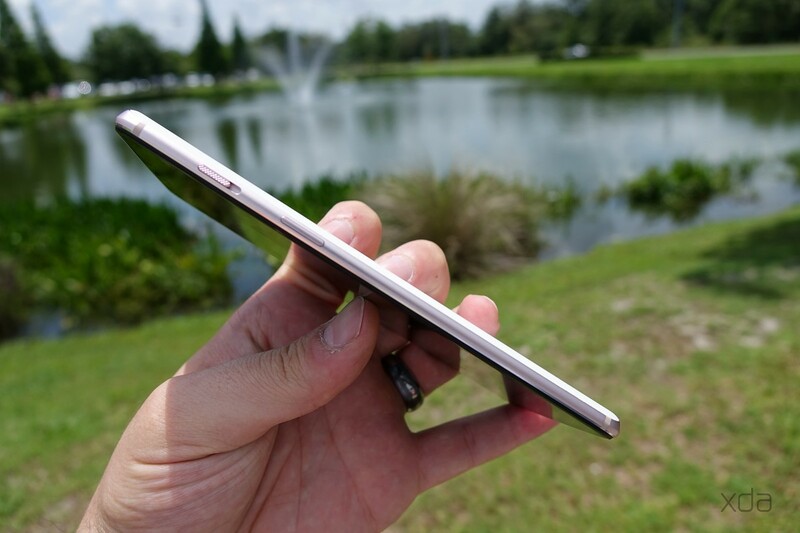 It almost looks like the silhouette phone companies use in their reveal photos (like the XDA Labphone.) The Rose Gold tone is ultimately not as extreme as that of the Apple iPhone 8+, which was a lot more colorful, and it’s not quite like the Soft Gold of the OnePlus 3 either (which I was secretly hoping for.) Luckily, the frame is also not coated like on so many current devices on the market, meaning it feels like proper metal and not like paint and the chamfer is something we aren’t seeing quite as often these days and makes a welcomed return. In terms of build quality and construction, OnePlus totally nailed the action of their buttons, and they might even be a little too hard to press. The end result, though, is that they have absolutely zero wiggle to them, and they depress with a solid click. I haven’t heard XDA’s Mario Serrafero complain about the phone’s buttons at all, which is a first in around two years, and my unit seems just as good with zero complaints. The now-placed-on-the-right alert slider also has never felt so good, with a firm dedicated snap as it clicks into each set, and the button texture also still helps you never mistake it for the power key (more important than ever with its new positioning). “Satisfying” would be an adequate one-word-summary to describe these buttons, though of course there’ll always be some variance when looking at the set of all consumer units. So, should you get this color if you are considering a OnePlus 6? 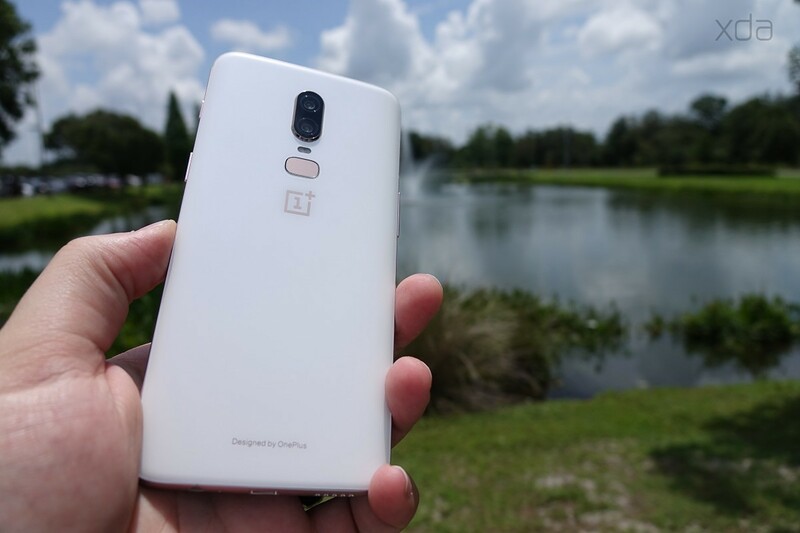 Well, if you are looking for something that isn’t the “standard” black, white, or gold but also want something that’s more subdued than the Red HTC U12+ or the Twilight Blue Huawei P20 Pro, then the OnePlus 6 Silk White might suit your needs. It doesn’t scream for attention like those other two phones, for instance, and it has a thoroughly classy aesthetic. This is also a limited edition phone which is something worth considering, though we don’t actually know just how limited it’ll be nor how much demand there is for this color. 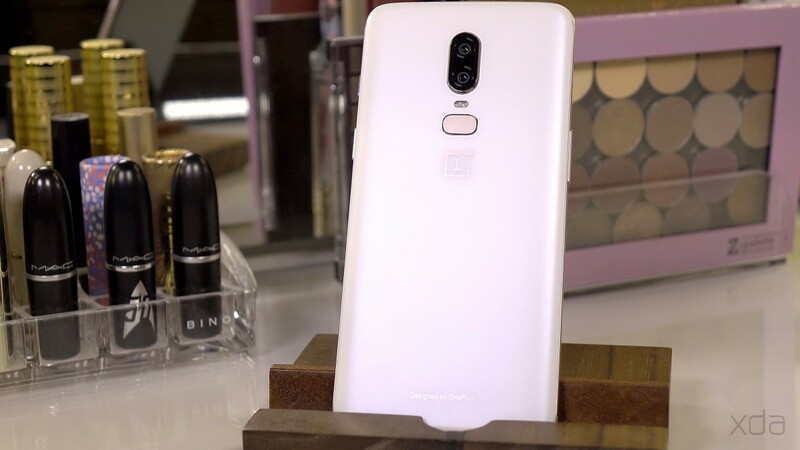 While the Midnight Black OnePlus 6 is impressively good at mimicking the look of old aluminum OnePlus phones, and while the Mirror Black variant is flashy and interesting, the OnePlus 6 Silk White variant offers more of a departure from both the “Soft Gold” of previous phones and the “Rose Gold” or white variants featured by competitors. It’s a beautiful color with many subtleties that I have personally never seen on a piece of tech before. It looks like it belongs on a vanity more than on a desk, and on display rather than in your pocket. The OnePlus 6 Silk White is a phone that looks as good as it performs, and it’s a package at a price that really can’t be beaten right now. Also check out my video hands-on over on the XDA-Developers YouTube channel. 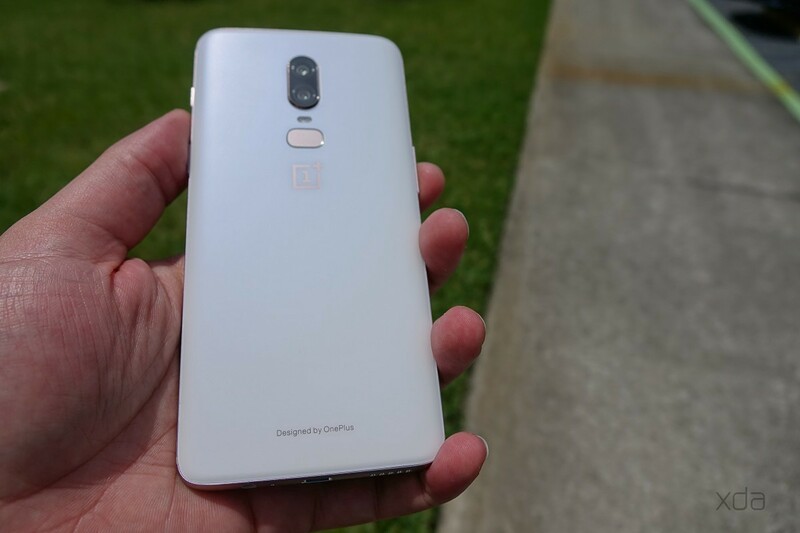 The OnePlus 6 Silk White will go on sale starting 10:00 EDT June 5th for a price of $579/€569/£519, and it only comes in one variant with 8GB of RAM and 128GB of storage. This is a limited edition device so if you are considering one, be sure to head over to the OnePlus website once it goes on sale. Stay tuned to the XDA Portal for more OnePlus 6 coverage!